Do you ever have those days where every item of clothing you try on makes you feel terrible? Maybe you start with this cool, new sweater you thought would look bomb but instead, you look like a potato. Or maybe you planned to rock that amazing LBD from last year only to have it + those 5 lbs of summer fluff make you look a little more second trimester than you’d like. Whenever I get in these situations I have an escape plan. When my floor is littered with clothes + my confidence is in the toilet, I turn to a tried and true friend, the wrap dress. I have more than one wrap dress, I have one that I turn to in moments where I need to look my best. The dress makes me feel put together + like I actually recognize my body. That’s the beauty of a wrap dress, it can do so much all on its own. Here are the top five reasons I love wrap dresses. 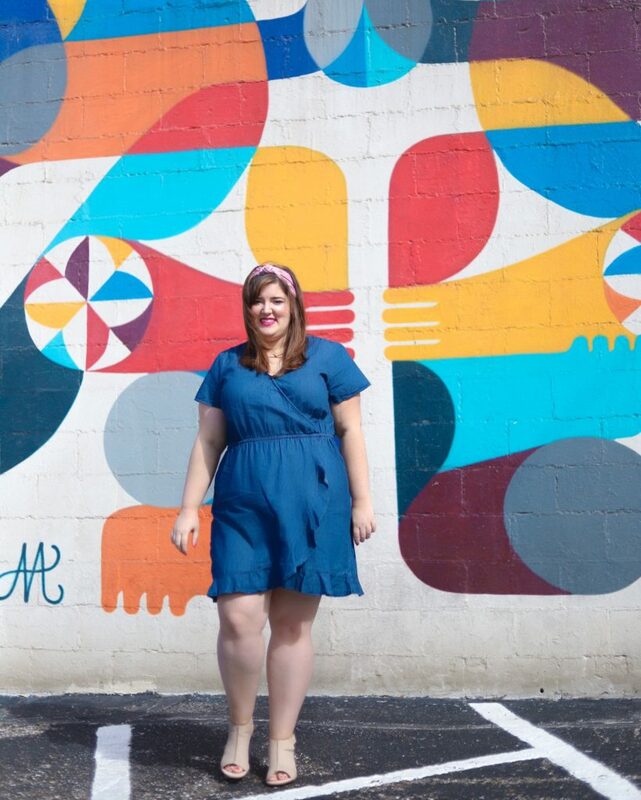 Confidence – As I mentioned early, wrap dresses are go-to when I’m feeling bad about my body. Why? Because they look great on everyone. No matter your size or weight, wrap dresses sinch in all the right places giving you a balanced shape. They often flow away from the body giving you a little room to breathe. Convenience – Dresses as a whole are super easy. One piece of clothing and you’re done. Wrap dresses even more so because they come with a built-in accessory: their belt. My favorite dress is in a jersey fabric so it never wrinkles. I can just throw it on and get out the door. Variety – Its construction may be simple, but a wrap dress doesn’t have to be boring. You can get wrap dresses and faux wrap dresses in so many different colors, prints, fabrics, and lengths. There is definitely a wrap dress for everyone. Usability – The cost per wear of a wrap dress is amazing. Depending on the fabric of your dress you can wear it to work, out on a date, or even to the farmer’s market. The right fabric + color dress can also work in your wardrobe for all four seasons! Versatility – Because the dresses themselves are so simple, they are a breeze to style. You can change out the belt + shoes, as well as other accessories to make the same dress work for you in different ways. You never have to wear it the same way twice. Check out this video of Soho Mini styling one dress five different ways. No matter what your body type, budget, or style is, there is a wrap dress waiting for you out there. 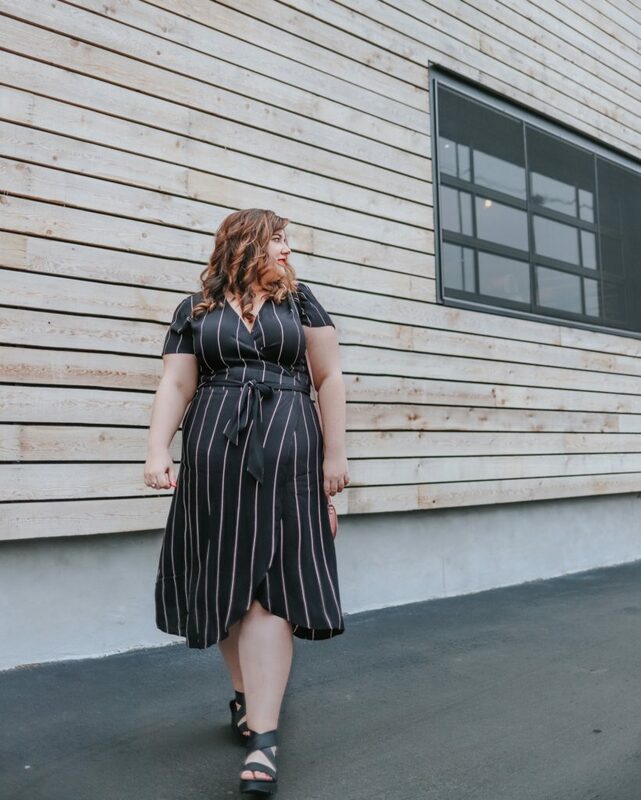 My favorite places to get wrap dresses are LOFT, ModCloth, and Lane Bryant, but I’m sure your favorite store has some, too. Do you have another reason to love wrap dresses? Tell me over on Instagram!